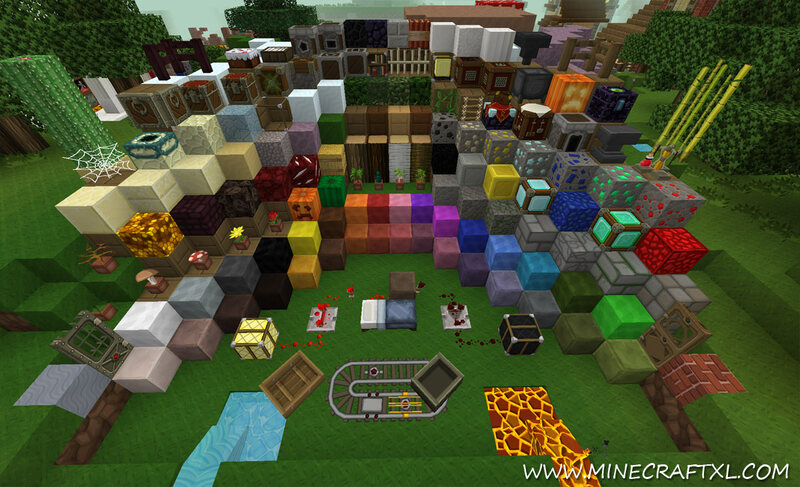 The Sphax PureBDCraft resource pack changes every aspect of the graphic and sound interface of Minecraft. 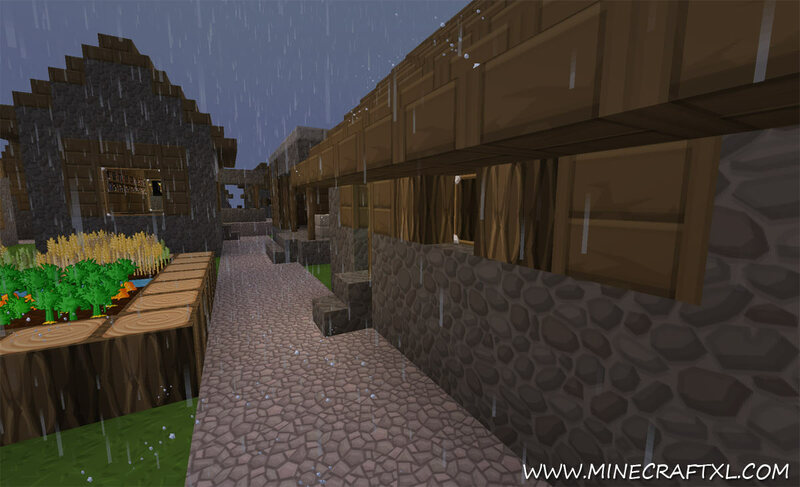 It changes Minecraft from the pixelated blocky look, to instead look like something akin to a comic book. It has been in development for a long time, and the result is amazing. 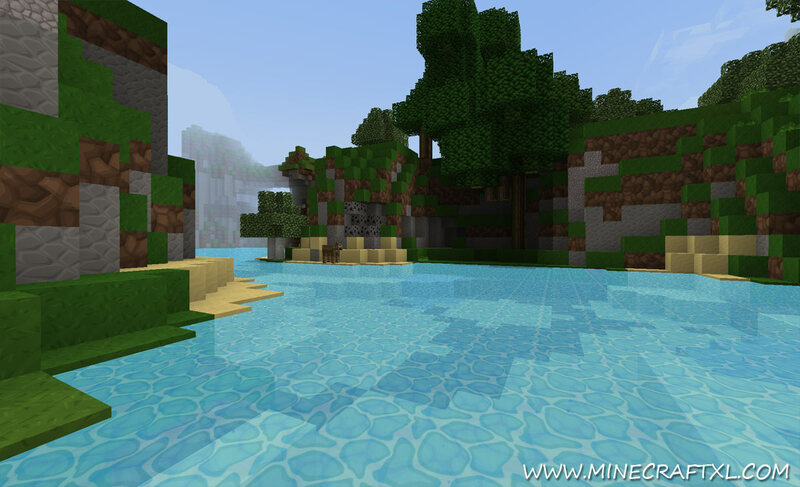 Not only does it changes the textures in Minecraft, but it also brings new sounds, menus, and more to your game. There is a reason that this resource and texture pack is one of the most popular for Minecraft. The time and effort put in this resource pack is simply stunning. 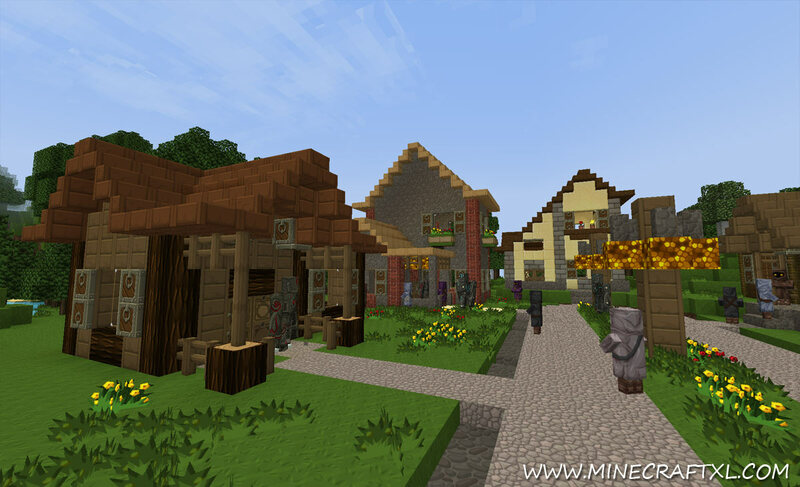 Another reason for it has grown in popularity, is that it supports more than 100 Minecraft mods. Some of the mods are supported within the resource pack, while others need a patch to work. Some of the more popular mods supported is The Aether, Randommobs, MorePaintings, Bookmod, MoreTools and many more. 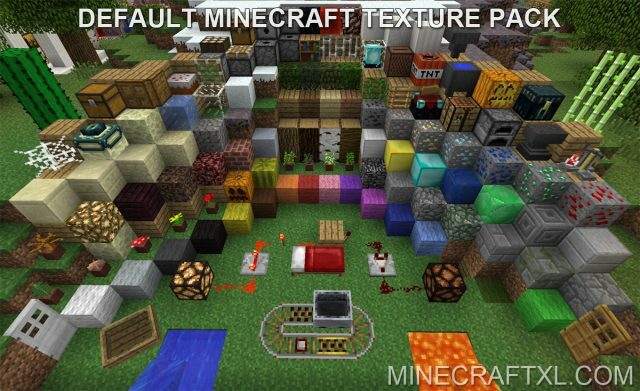 This texture pack is 100% complete , this means that things like the splash screen, GUI, mobs, animations, water and lava, terrain, and even the sound, has been re-made. The textures are somewhat reminiscent of cel-shaded or cartoony looking games such as Sly Racoon (or Sly Cooper) or Crash Bandicoot, if anyone know those amazing games. The water texture is really nice. This is one of those amazing and madly popular resource packs that you have to try for yourself to see all its beauty. Download link is found below for all versions since 1.6 and above.